Mirah Bolender's fast-paced, adventure fantasy debut, City of Broken Magic, features a bomb squad that defuses magic weapons. MIRAH BOLENDER graduated with majors in creative writing and art in May 2014. A lifelong traveler, she has traveled and studied overseas, most notably in Japan, and these experiences leak into her work. City of Broken Magic is her debut fantasy novel. She currently lives in St. Paul, Minnesota. 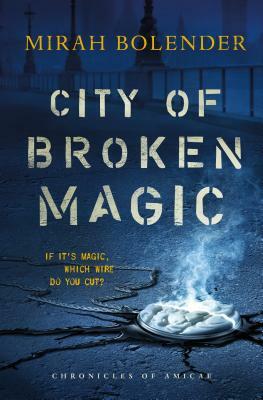 “City of Broken Magic explores what happens after the familiar heroes have gone, and the importance of those who remain to begin again.”—Fran Wilde, Hugo and Nebula finalist, award winning author of The Bone Universe.